Celebrating the new release of 'Insurgent' on DVD and BluRay I'm thrilled to have been commissioned by Entertainment One to create two special posters for the release. 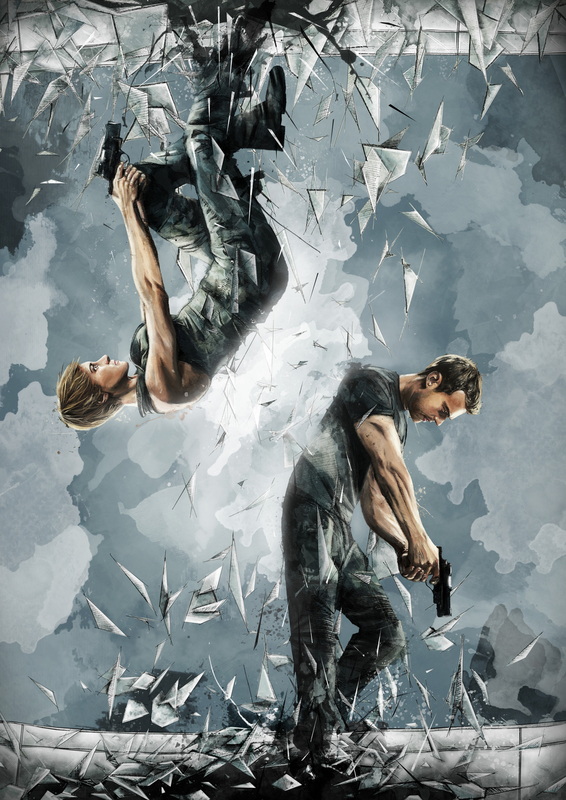 The second of two official posters commissioned and shown below features the main characters Tris and Four fin my illustrated version of the awesome main film poster. It was drawn by hand on watercolour paper and brought into photoshop where it was digitally painted. It continues the geometric watercolour style that I have been developing but I am pleased that I was able to add more detail and tone to the characters faces and bodies that I have done up until now. The main poster and show zoomed in details are below. The DVD is available direct from Entertainment One here. Big thanks to Entertainment One, it was a pleasure to work with them once again! !